Home » News & Events » Apollo, Hyderabad, commemorates 30 years of ‘Touching lives’ by sensitising public on road safety! Apollo, Hyderabad, commemorates 30 years of ‘Touching lives’ by sensitising public on road safety! Hyderabad, August 26th, 2018: Apollo Hospitals, the first super-specialty hospital in the combined state of Andhra Pradesh and the first functional Health City in Asia, is celebrating 30 years of world-class care to its patrons, aiding them to traverse the journey from illness to wellness. Launched on 27th August, 1988 as a 150 bedded hospital on a hillock in the then outskirts of Hyderabad, Apollo Hospitals has today evolved into a global healthcare destination. Apart from serving the healthcare needs of patients from Hyderabad, neighbouring states and India; Apollo Hospitals, Hyderabad, now has a footprint across 70 countries. Dr Sangita Reddy, Jt. 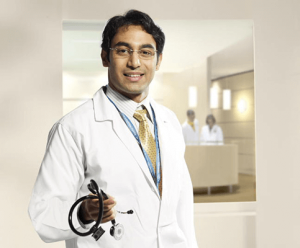 Managing Director, Apollo Hospital. Apollo receives several road accident victims and off-late there is an alarming rise in the incidence. Often these victims are in the prime of life and lone breadwinners for the families. Most go back to their routine post treatment, but with some setback in terms of precious time and money and there are unfortunate few who tend to lose their limb or life. This has spurred the Hospital to initiate a social campaign, as road accidents are totally avoidable with little care and safe driving. To proactively raise awareness and aid victims, Apollo Hospitals will impart training in ‘Basic Life Support’ (BLS) to the policemen, who are often the first responders and reach out to the accident victims to provide succour. Policemen from across the city will be at their respective police stations. In addition, employees deputed by Corporates will be trained at the BLS Simulation labs at the hospital. These employees would in turn train their colleagues, to achieve a cascading effect in the mission. All those trained in BLS will be designated as “Life Savers” and are competent to aid victims of road accident in their vicinity before the arrival of ambulance. Speaking on the occasion Dr Sangita Reddy said, Technological supremacy, continuous skill enhancement, an environment of innovation coupled with our patient centric approach, are the hallmarks to the success of Apollo Hospitals, Hyderabad. However, we believe that there is a lot more to do and are recommitting ourselves to the challenges ahead. This institution nurtures innovation and I am confident we will see many more path-breaking initiatives from Apollo Hospitals, Hyderabad in the years to come, she adds. 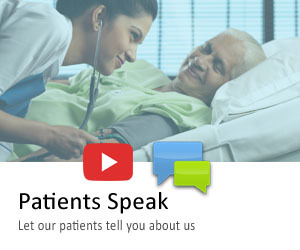 About Apollo Hospitals: It was in 1983, that Dr. Prathap Reddy made a pioneering endeavour by launching India’s first corporate hospital – Apollo Hospital in Chennai. Now, as Asia largest and most trusted healthcare group, its presence includes 8,488 beds across 51 Hospitals, 1,586 Pharmacies, 92 Primary Care and Diagnostic Clinics, 100 Telemedicine units across 10 countries. Health Insurance services, Global Projects Consultancy, 15 colleges of Nursing and Hospital Management and a Research Foundation with a focus on global Clinical Trials, epidemiological studies, stem cell & genetic research and the first Proton Therapy Centre across Asia, Africa and Australia.